Lemon balm is a popular herb used by millions. Scientists call it “Melissa officinalis"—the word “melissa” comes from the Greek word meaning "honey bee"—but it also goes by many other names, such as "nectar of life, "cure-all", "balm mint" or "honey plant". Lemon balm is a member of the mint family, which is native to Europe and well recognized for its many benefits. It is bright green in color and has small, heart-shaped leaves with clusters of white and yellow flowers similar in shape to mint leaves. It is not only grown in gardens but also for medicinal purposes. Lemon balm is considered a calming herb and has been used for medicinal purposes since the Middle Ages. It is believed to help reduce stress and anxiety, promote sleep, enhance cognitive performance, fight viruses and ease indigestion symptoms. Today, lemon balm is often combined with other herbs to promote its medicinal benefits. Lemon balm can also be used for culinary purposes, due to its flavoring. Anxiety is a disorder that refers to feelings of fear, worry, and nervousness strong enough to interfere with daily activities. Anxiety is the most common mental illness in China, Japan, Russia and the United States. In total, hundreds of millions are affected. Anxiety is frequently treated with medications. However, many have sought alternatives due to fear of medication side effects. There are several studies showing that lemon balm may reduce anxiety symptoms. Increasing the brain chemical called GABA (gamma-aminobutyric acid) plays a major role in the treatment of anxiety. A 2017 study in Phytotherapy Research analyzed the effects of lemon balm on GABA pathways. Lemon balm was found to improve GABA effectiveness, similarly to how medicinal drugs interact with the GABA system to help treat the disorder. An article published in 2016, also looked closely at the compounds that make up lemon balm and concluded that it contains GABA stimulating receptors. A third study showed that the presence of rosmarinic acid in lemon balm is responsible for helping reduce symptoms of anxiety. Overall, these research studies show that lemon balm may be used as a safe and effective source in treating anxiety. If you are on prescription medications for anxiety, do not stop taking it unless told to do so by your physician. Do not combine lemon balm oil with anxiety medications without first consulting your doctor. Depression is a mood disorder associated with feelings of sadness and loss of pleasure in life. It can become so severe that it can lead to suicide. Worldwide, millions are affected by depression, which can occur in anyone, at any age and from any background. The most common known treatments include counseling and antidepressant medications, which increase levels of serotonin, a chemical (neurotransmitter) that helps send signals from one brain cell to the other. Researchers believe that an imbalance or reduction of serotonin levels is what increases feelings of depression. In a study conducted on rats, it was found that lemon balm contains serotonergic activity. Rats that received water with lemon balm extract, showed “significantly reduced depressive-like behavior” when compared to rats that received a placebo. This suggests that lemon balm may play a role in helping with depression symptoms. Stress is a feeling of strain and pressure that's a natural part of life. 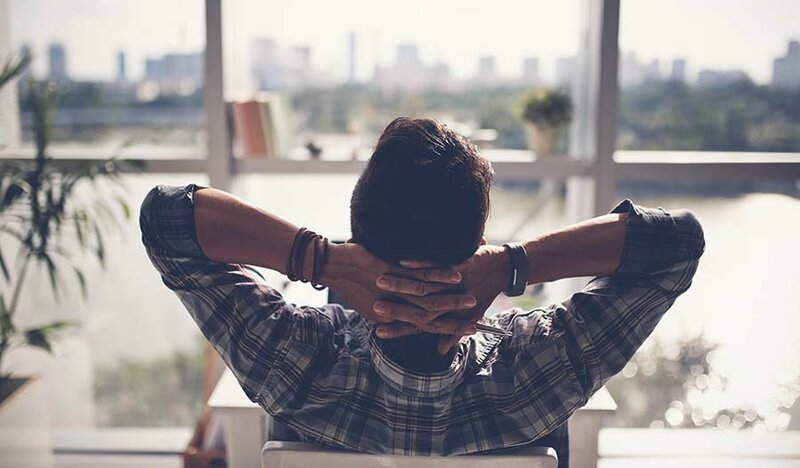 While almost every human being has experienced stress, it can really take a toll on our bodies if we do not manage it correctly. Untreated stress can lead to chronic illnesses and conditions such as insomnia. Excessive cortisol, the hormone responsible for stress, is expressed in the brain for long periods of time, causing a drop in white blood cells and leading to a weaker immune system. This makes one more susceptible to diseases, including colds and other infections. One of the primary actions of lemon balm, and what it is most known for, is its mild sedative effect, which can help those who are stressed. 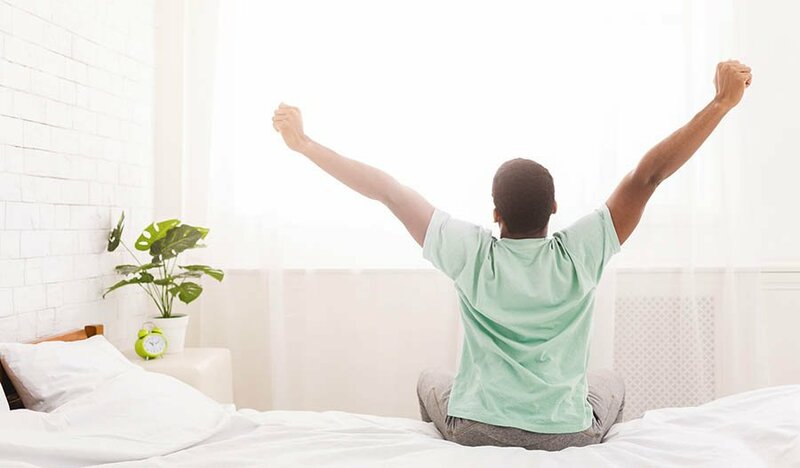 In a study published in the Journal of Evidence-Based Complementary and Alternative Medicine, children under the age of 12 who suffer from restlessness and insomnia were treated with a combination of valerian root extract and lemon balm extract. It was found that the mixture of the herbs relieves stress and helped in treating insomnia. The soothing effect of lemon balm has also been studied in mice. Two researchers, Hajhashemi and Safaei, set out to study the “hypnotic effect” of lemon balm. They found that mice injected with lemon balm and lavandula angustifolia extract fell asleep quicker and slept longer. The results of the study support that when lemon balm is combined with other herbs, it can be helpful in treating insomnia. Consumers increasingly prefer the use of plant extracts, including lemon balm, to help prevent some infections. Research has revealed that the plant contains compounds such as eugenol, terpenes, and rosmarinic acids, chemicals that play a role in killing viruses and bacteria. Specifically, evidence suggests that lemon balm contains high activity against herpes simplex virus (HSV), which causes cold sores. The University of Maryland Medical Center published a study that looked at the medicinal uses of lemon balm. Dr. Steven Ehrlich reported that in a study of 116 people with cold sores from oral herpes, those who were given a lemon balm cream to apply to their lips experienced improvement of their symptoms after only two days. In a different study, a German dermatology clinic reported lemon balm as the primary source of treatment for the herpes virus without any recurrence noted. Furthermore, a recent study from 2017 confirmed that lemon balm has antibacterial ability against many bacterial strains, including the most common bacteria, known as E. coli. This research suggests that the use of lemon balm is very effective for both genital and oral herpes through its antiviral properties in addition to antibacterial properties. Naturally found in many plant-based foods and herbs, antioxidants are important substances that inhibit oxidation, the production of free radicals that damage cells. In other words, antioxidants are good for us because they stop or prevent cell damage. Various studies have confined the antioxidant effects of lemon balm. In one study that analyzed the anticancer properties of lemon balm, it was found that lemon balm presents with high concentrations of flavonoids, a class of chemical compounds that contain phenols known to be powerful antioxidants. Shahrekord University of Medical Sciences in Iran published an article that focused specifically on evidence-based properties of lemon balm. 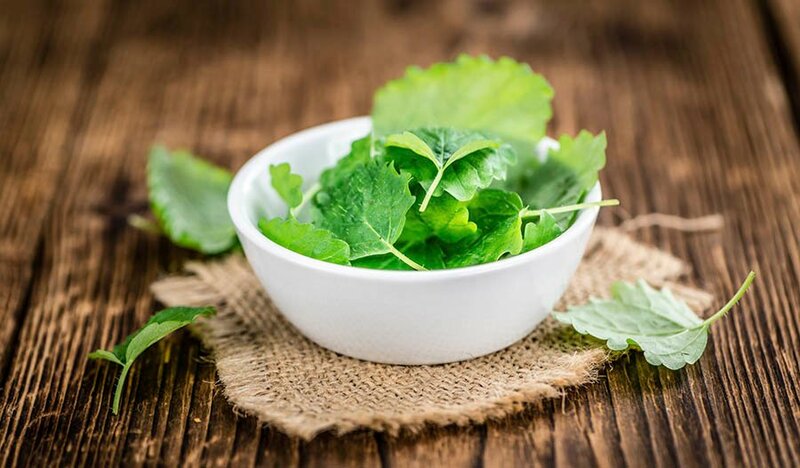 It investigated, in detail, the antioxidant effects of the herb and supported the previous claim that the antioxidant activity in lemon balm is mainly attributed to the phenolic compounds in the plant. The journal of Dermatological Science published an article in which lemon balm extract was found to prevent UV damage. UV radiation is the main cause of aging and skin diseases, including skin cancer. In the same study, it was also found that lemon balm has “melanogenesis” properties, which aids in reducing unwanted sunspots (also known as aging spots). Lemon balm protects the skin due to its strong antioxidant power. Many suffer from indigestion, a pain or discomfort in the upper abdomen. 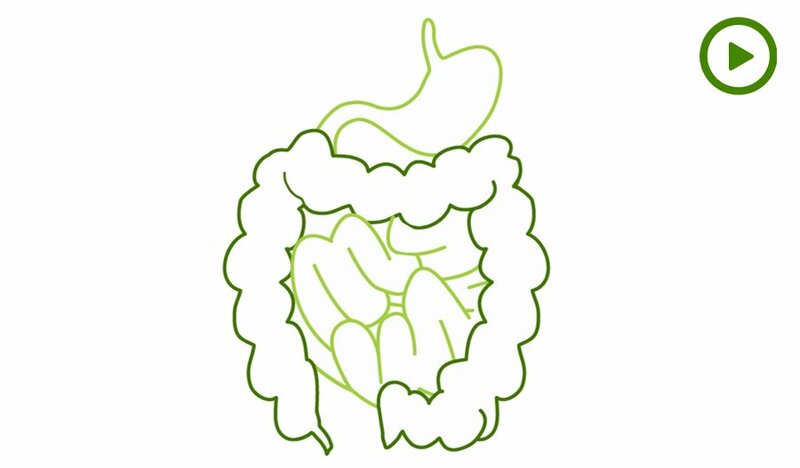 It is often a sign of another condition such as GERD, ulcers, gastritis or sometimes irritable bowel syndrome. Research has shown that herbs such as lemon balm, peppermint, and chamomile have alleviating effects on indigestion. In one study, 120 patients with indigestion were randomly selected to either receive an herbal preparation which contained lemon balm extract or to receive the placebo. Those who received the herbal preparation reported reduced intensity and improved indigestion symptoms. In France, about 40 plants have been approved to be safely used as teas to help treat indigestion, including lemon balm. A study published in an article from 2015 found that lemon balm has anticancer properties. The study focused on cancer activity of human breast cancer cells. It proved that, due to its powerful antioxidant capacity, cardioprotective effect and anti-inflammatory properties, it may potentially enhance treatments for cancer. Currently, there is still more research to be done on the effects of lemon balm and cancer. Lemon balm should never be used for the treatment of cancer unless advised by a cancer doctor. It has been proposed by some scientists that lemon balm has enhancing effects on cognitive behavior. In an article in Pharmacology Biochemistry and Behavior, 20 participants were treated with different doses of lemon balm extract. The findings showed improvement of attention when 600 mg of lemon balm was taken by participants. In a more current study from 2016 found in Iranian Journal of Medical Sciences, it states “lemon balm showed improving effects on memory and the treatment of Alzheimer’s disease in clinical trials”. Countless studies confirm that lemon balm or the combination of lemon balm with other extracts has the ability to improve memory and attention. Neurologists have tested the efficacy and safety of lemon balm in patients with mild to moderate Alzheimer’s disease and found that it is of value and has positive effects in managing the disease. Learn more about Natural Approaches to Dementia and Alzheimer’s disease. The leaves of lemon balm have the scent and taste of lemon with a hint of mint. There are many culinary uses due to its unique taste. Try cutting up lemon balm leaves and adding them to your favorite poultry dish, salad, or soup. Lemon balm goes nicely with chicken and fish dishes. It can also be used to garnish delicious desserts. Lemon balm is an easy herb to grow. All it requires to start is lemon balm seeds along with part of a root or stem. Although lemon balm likes warm weather, it is important to choose a shady spot where the plant can be protected from the midday sun. Lemon balm likes rich and moist soil and can grow large, up to 24-36 inches tall. It can spread, so when planting make sure there is enough room to allow for growth. Due to the speed at which the plant grows, it may require some cutting down, which will also help rejuvenate the green herb. Pruning is recommended any time the plant shows signs of withering, so that it can grow healthy again. Watering it daily in the summer, but not too much in the winter, will help the plant grow. Adding fertilizer may further help nourish the plant. Lemon balm supplements are made by placing the leaves of the plant into capsules. Suggested dose is 500 mg once or twice per day. Lemon balm essential oil can be rubbed onto the body and is widely used for its calming and relaxing properties. As an essential oil, it can also be directly inhaled or diffused. Lemon balm salve can be applied to the skin for skin disorders. Lemon balm lip balm can relieve dryness and irritation. Lemon balm tea is a popular way to enjoy the benefits and taste of the herb. Although lemon balm offers many beneficial uses due to its components, it is important to use it with care. The usage of Melissa officinalis is known to cause hypotension and sometimes a fast heart (tachycardia) that can possibly be attributed to GABA-mediated effects. Lemon balm must be avoided by women who are pregnant or breastfeeding unless approved by a qualified healthcare provider. It should also not be combined with any anti-anxiety medications. Consult your doctor before using it. Savage K, Firth J, Stough C, Sarris J. GABA-modulating phytomedicines for anxiety: A systematic review of preclinical and clinical evidence. Phytotherapy Research. 2018;32:3–18. Hajhashemi, Valiollah, and Azadeh Safaei. “Hypnotic Effect of Coriandrum Sativum, Ziziphus Jujuba, Lavandula Angustifolia and Melissa OfficinalisExtracts in Mice.” Research in Pharmaceutical Sciences 10.6 (2015): 477–484. Print. Ehsani, Ali et al. “Phytochemical, Antioxidant and Antibacterial Properties of Melissa Officinalis and Dracocephalum Moldavica Essential Oils.” Veterinary Research Forum 8.3 (2017): 223–229. Print. Miraj, S., Rafleian-kopaei, Kiani, S. Melissa officinalis L: A Review Study With an Antioxidant Prospective. J Evid Based Complementary Altern Med. Shahrekord University of Medical Sciences, Shahrekord, Iran. 2016 Sep 11. Pérez-Sánchez, Almudena et al.Lemon balm extract (Melissa officinalis, L.) promotes melanogenesis and prevents UVB-induced oxidative stress and DNA damage in a skin cell model. Journal of Dermatological Science , Volume 84 , Issue 2 , 169 - 177. Hamza, Alaaeldin Ahmed et al. “Melissa Officinalis Protects against Doxorubicin-Induced Cardiotoxicity in Rats and Potentiates Its Anticancer Activity on MCF-7 Cells.” Ed. Aamir Ahmad. PLoS ONE 11.11 (2016): e0167049. PMC. Web. 14 Jan. 2018. Shojaii, Asie, Roshanak Ghods, and Mehri Abdollahi Fard. “Medicinal Herbs in Iranian Traditional Medicine for Learning and Memory.” Iranian Journal of Medical Sciences 41.3 Suppl (2016): S43. Print. Akhondzadeh, S et al. “Melissa Officinalis Extract in the Treatment of Patients with Mild to Moderate Alzheimer’s Disease: A Double Blind, Randomised, Placebo Controlled Trial.” Journal of Neurology, Neurosurgery, and Psychiatry74.7 (2003): 863–866. PMC. Web. 15 Jan. 2018.